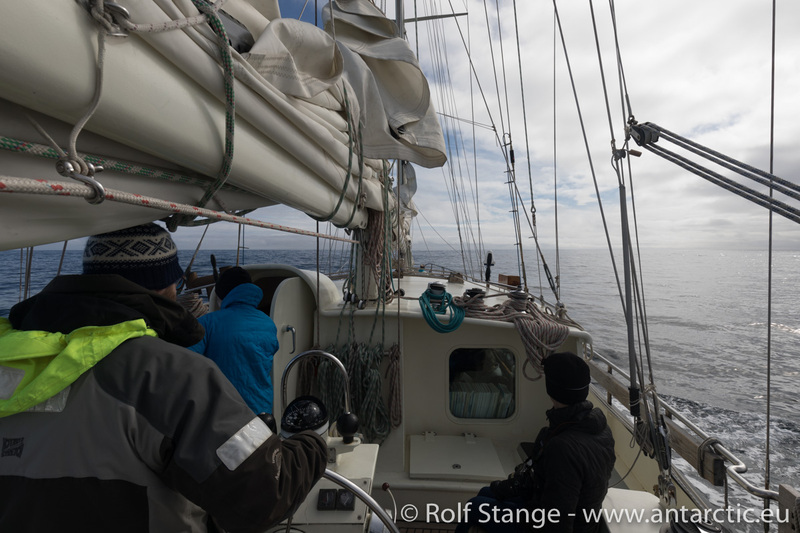 31 January – 03 Februar 2018 – We have seen a lot of water and many, many waves since we left Antarctica 3 days ago. On the first day at sea, we could enjoy the rather rare phenomenon of a „Drake Lake“. No wind at all! It was pretty clear that this would not last forever. According to the forecast, we could hope for one more day with little wind, but that’s not what we got. 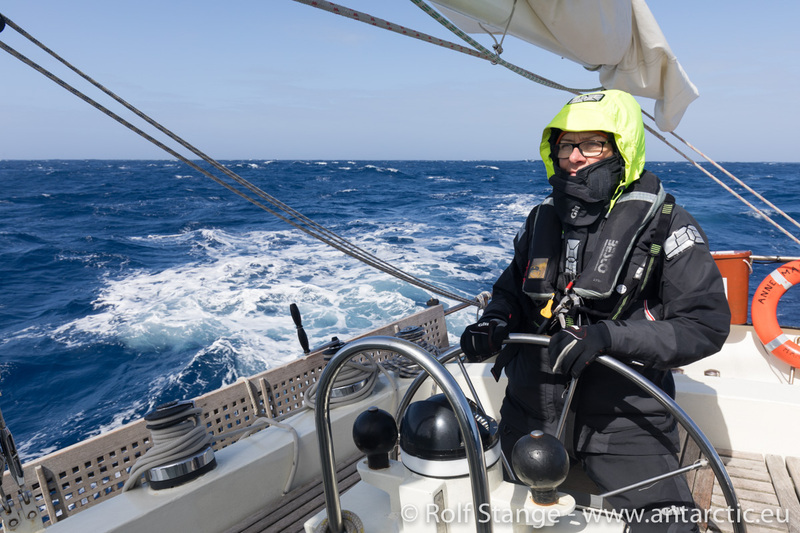 Since the day before yesterday, we have mostly had around 30 knots of wind (force 7), sometimes more (up to 40 knots, a solid force 8, occasionally gusting up to force 9). The bad thing is: the wind comes almost constantly from the wrong direction, from northnorthwest. 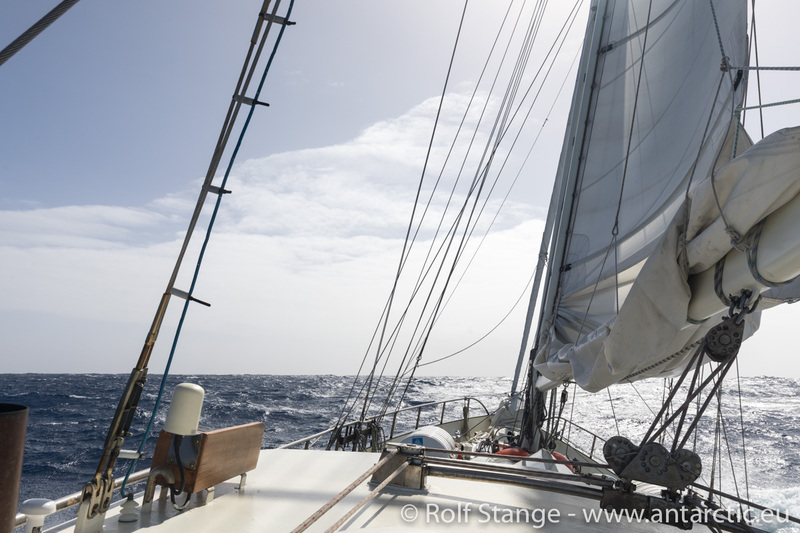 No sailing wind that makes us fly across the Drake, but nasty headwinds that slow us down to a frustrating 3-4 knots, making the boat move a lot at the same time. Well, it is not one of these really heavy storms that the Drake-Passage is so notorious for, but still it is a phenomenon how the wind keeps coming persistently from the „wron“ direction in this area which is known for quick weather changes!? Well, is is as it is, we have to live with it, although enthusiasm about the present weather and sea conditions is not unlimited. Some of us actually discover that they are born seamen, while others keep holding on to a bucket. Just for safety reasons, of course. 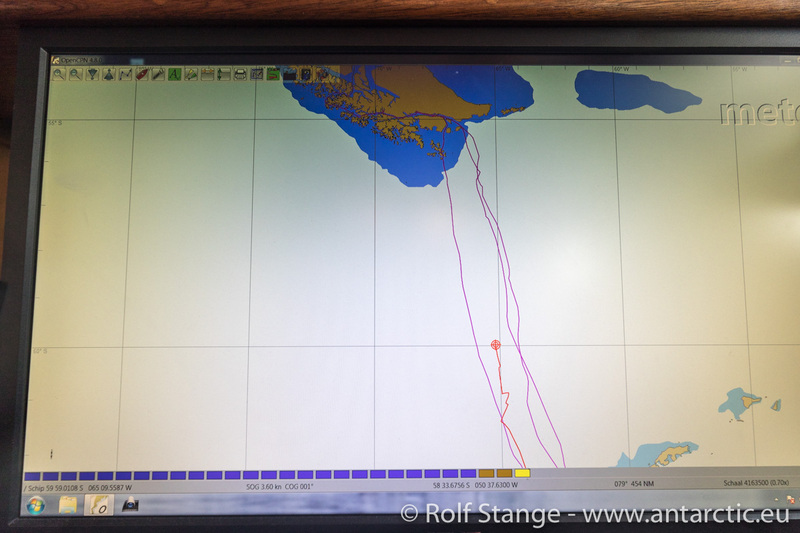 It is still about 170 nautical miles to Cape Hoorn. That makes for 34 hours sailing time assuming that we can maintain a speed of 5 knots. 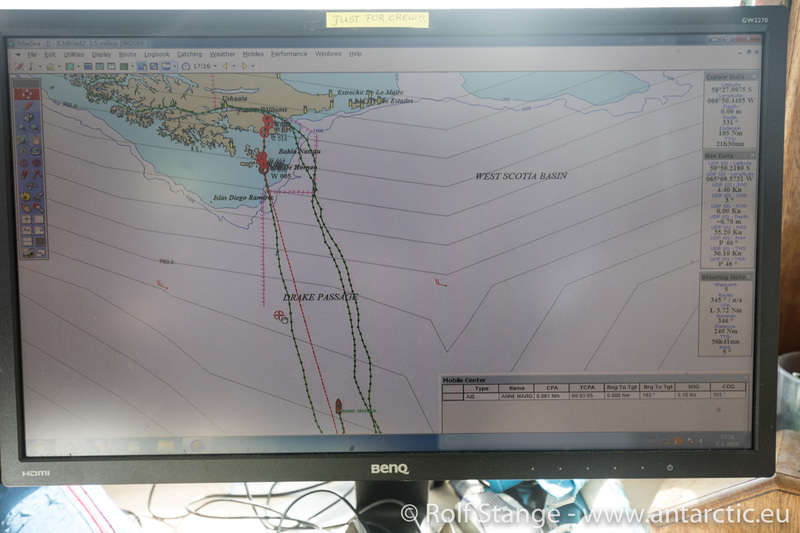 In this case, we will be near land in the night from Sunday to Monday. But often, we are slower. 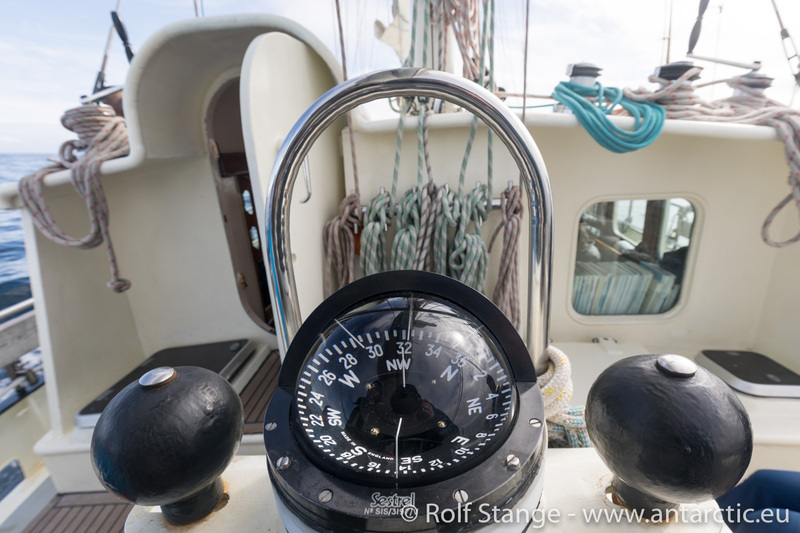 We are kreeping towards Cape Hoorn metre by metre, and we will all be happy when we hear someone shouting „land“!